Camp Cactus, Santa Catalina Island was home to a secret U.S. Army Signal Corps radar facility in World War II. 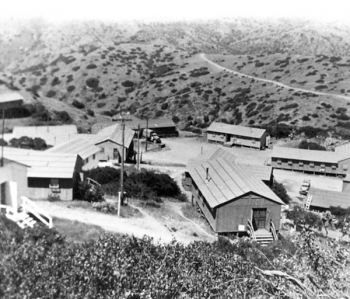 Camp Cactus, Santa Catalina Island was home to a secret U.S. Army Signal Corps radar facility. This World War II facility was tucked into a gully on the island's windward side. The U.S. Army Signal Corps' Camp Cactus hosted top-secret radar technology designed to detect Japanese ships and aircraft. If its radar detected an imminent invasion, a direct link to Fort MacArthur in San Pedro would give American forces their first and likely only warning. Its powerful anti-aircraft guns would also serve as Southern California's first line of defense. Hidden behind Mount Orizaba and accessible from Avalon only by a 14-mile dirt road, Camp Cactus was shrouded in secrecy.